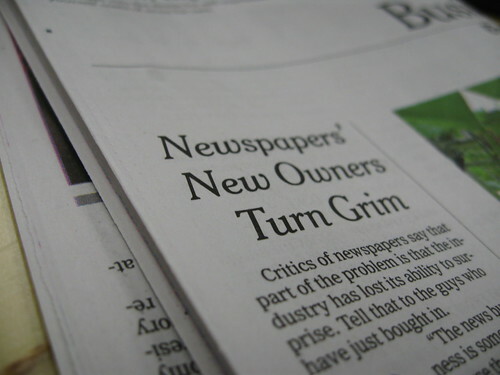 Earlier this year, I wrote a post on my personal experience leaving print newspapers behind. For anyone who liked that post, which generated a lot of discussion inside my inner circle in Plaxo Pulse, I highly recommend this lengthy piece in the New Yorker, which actually manages to breeze through in some detail 300 years of the history of American newspapers. “Bloggers are not chewing on the news. They are spitting it out,” Arianna Huffington protested in a Huffington Post blog.